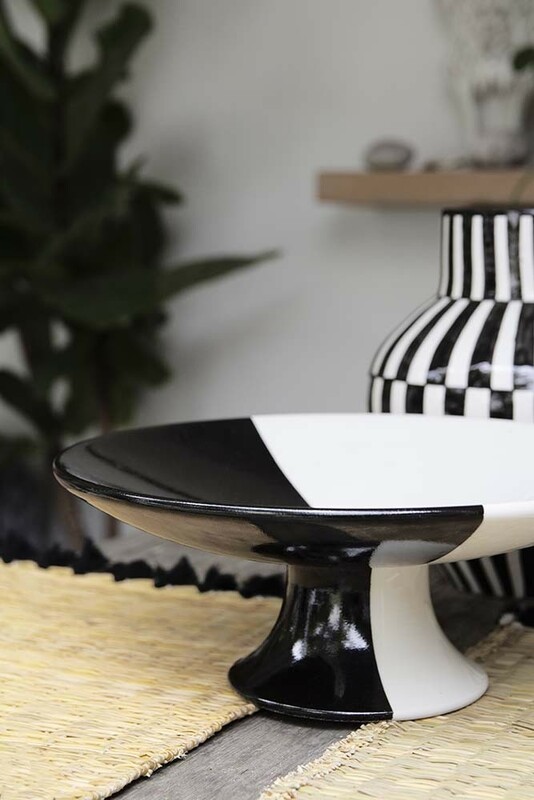 Crafted in traditional Moroccan Pottery shapes the inspiration for the Handmade Black & White Bowls and Plates came from Jane and Lucy’s desire to produce this beautiful handmade collection in their favourite monochrome tones. 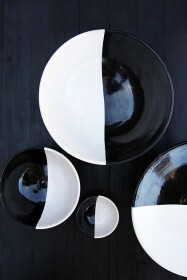 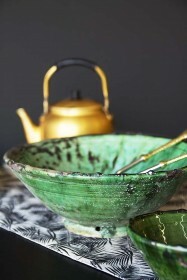 Distinctive and unique - the ceramics are simple, striking and come in organic non-uniform shapes. 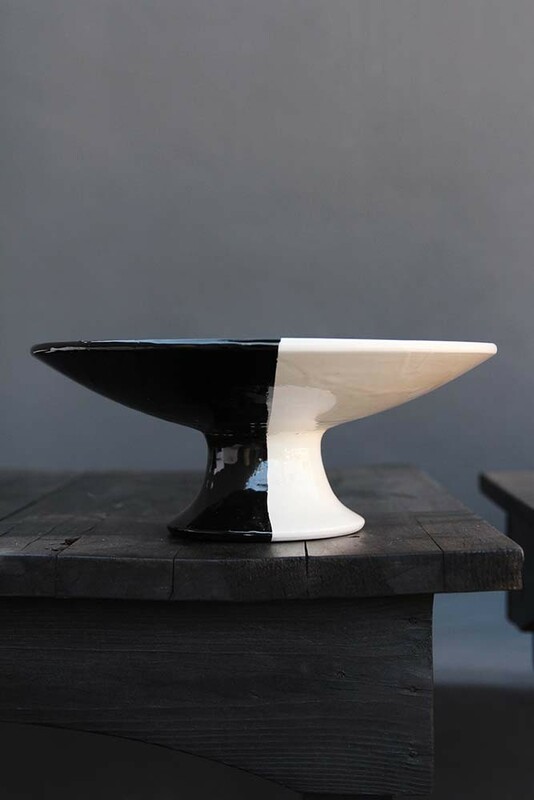 The Black & White Bowl on Stand is made from terracotta and hand finished with black and white paint to create this stunning result. 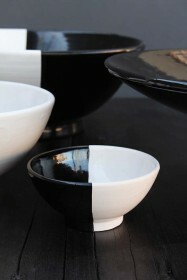 A one of a kind piece the Black & White Bowl on Stand is ideal for any occasion - whether that be a dinner party with friends or for everyday use! 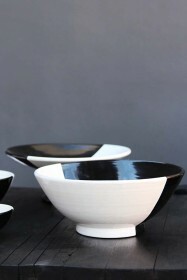 The Handmade Black & White Bowl On Stand – 30cm is also available as a Black & White Bowl 18cm, Black & White Fruit Bowl 28cm, Black & White Bowl 10cm, Black & White Dinner Plate - 27cm, Black & White Side Plate - 18cm and Black & White Vases. 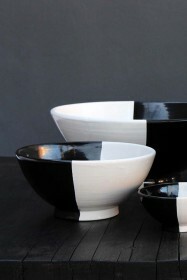 Please note, these products are authentic, handmade pieces and so there will be expected variations in the sizing and finish… that’s what makes the pottery so special!